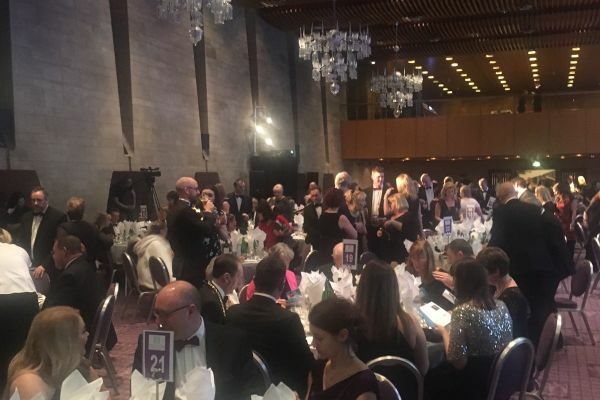 Tourism businesses from across the North East were celebrated last night (Tuesday 22 November) as the winners for the North East England Tourism Awards were announced at a glittering ceremony held in Newcastle Civic Centre’s Banqueting Hall. Alfie Joey, BBC Radio Newcastle breakfast show presenter, hosted the awards, which saw five new entrants walk away with gold awards including Battlesteads Hotel & Restaurant who won an outstanding three gold awards on the night. This ensured a total of seven Gold awards for Northumberland, alongside winners Carraw Bed & Breakfast, St Cuthbert’s House, Northumbrian Water Kielder Waterside and Woodside Lodge. All that glitters is not just gold. Northumberland businesses also scooped an impressive eight Silver, four Bronze and eight Highly Commended awards. Sarah Stewart, Chief Executive at destination management and marketing organisation NewcastleGateshead Initiative, said “Many congratulations to all of this year’s winners. It is always a delight to see so many businesses awarded for their commitment to the North East’s tourism sector. “The North East of England has a fantastic tourism offer, from the buzz and culture of our cities to the beautiful heritage of our coast and countryside. This is demonstrated by the variety of businesses who have entered and won the awards. Playing a major role in showcasing the range of high quality tourism businesses and experiences on offer to visitors across the North East, the awards have continued to grow year on year. Of the 143 entries this year, over 60 businesses (42% of entrants) entered the awards for the first time This year also saw the addition of three new categories; ‘Guided Tour of the Year’, ‘Self-Catering Property of the Year’ and ‘Dog Friendly Business of the Year’. Northumbrian Water continued their support of the awards for the fifth consecutive year, joined by Gateshead College as the headlines sponsors for 2016. David Hall, Head of Leisure, Strategy & Transformation at NWG said: “The calibre of all entries was first class and I was particularly impressed by the strength of innovation and excellence we have across the North East.